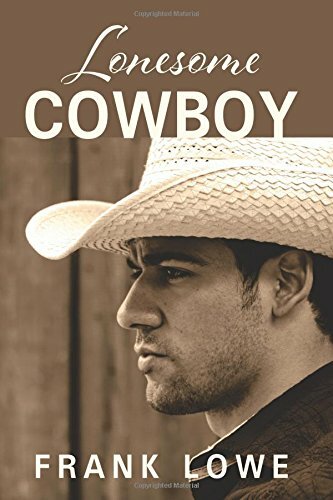 Not your typical western story, “Lonesome Cowboy” by Frank Lowe is full of romance, drama, intrigue and personal growth that will leave readers thoroughly entertained. When country western singer Cowboy Red and his son Kyle Kelly's tour takes them to Wonderland Park, their lives are drastically changed. Kyle discovers that his father has withheld secrets from his past, especially regarding this place. While Kyle's interest in the past is piqued, he also must handle his skyrocketing career. In addition to all of this, Kyle falls head over heels for Miranda, who is more than she seems. When tragedy strikes Miranda's family Kyle is torn between following fame and money or his heart. Unfortunately, Miranda's responsibility to her family will not allow room for Kyle in her life. As he is trying to find a solution, his father's health is declining. Kyle decides to follow his heart and go down to Mexico to win Miranda and her family over. He knows it won't be easy, but he is surprised to discover the depth of her family's responsibilities and that not all the members are loyal. Kyle's journey helps him mature and evolve into an amazing man with an incredible story. “Lonesome Cowboy” tells a poignant coming of age story about a talented, charismatic young man who is faced with life altering choices that do not have easy solutions. Trusting and following his heart places him on the most difficult path, however, it is the only one with which he can live. As Kyle learns about his father's past, he knows he doesn't want to go through life with regrets. The complexities of this story make for a great read however, at times readers will have to suspend their beliefs because some of the events become too convoluted to be believable. Readers will enjoy the descriptions of the places and people in both the United States and in Mexico. The characters are interesting. Whether they are good or bad, they are complex. I recommend “Lonesome Cowboy” by Frank Lowe for fans of romantic fiction that has some depth. This would be a great choice to take on vacation!